Conversational Chinese 301: Best-selling Chinese textbooks for learners Overseas in 17 years! These are the books of 2nd printing of 3rd edition which are the most current edition. This series is an intensive course books for people who have just started to learn Chinese and lays emphasis on improving the ability of the learner to use Chinese for communication. It integrates the communicative function with the grammatical structure and presents the most essential and useful part of the language in the linguistic environments one is usually exposed to in daily life, so as to enable the learner to master the 301 basic conversational sentences fairly quickly, and on that basis, through substitution and extension practice, to acquire the ability to carry on simple conversations with the Chinese. In this way, the books will also help lay a solid foundation for further study. This series consists of two Volumes with 40 lessons and 8 reviews. 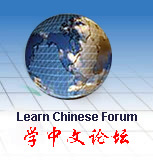 The 40 lessons encompass nearly 30 communicative functions such as "Greetings" and "Making an Acquaintance", about 800 new words and the fundamentals of Chinese grammar. Each lesson is divided into six parts - Sentences, Conversation, Substitution and Extension, New Words, Grammar, and Exercises. In view of the characteristics of language learning of the adult, the book uses not only easy-to-understand language, but also simple grammar. All this will help learners use the grammatical rules to guide their own language practice and draw inferences about other cases from one instance. The exercises are varied and plentiful. The reviews give due attention to improving the conversational and narrative skills of the learner, as well as systematically summarizing the grammar points covered. The exercises in each lesson and the reviews may be used in totality or in part, according to actual circumstances. Lesson 1-10 Lesson 1: Greetings - How do you do? Lesson 2: Greetings - How is your health? Lesson 3: Greetings - Are you busy with your work? Lesson 4: Making an Acquaintance - May I know your name? Lesson 5: Making an Acquaintance - Let me introduce... Lesson 6: Making an Inquiry - When is your birthday? Lesson 7: Making an Inquiry - How many people are there in your family? Lesson 8: Making an Inquiry - What time is it? Lesson 9: Making an Inquiry - Where do you live? Lesson 10: Making an Inquiry - Where is the post office? Lesson 11-20 Lesson 11: Needs - I want to buy some oranges. Lesson 12: Needs - I want to buy a sweater. Lesson 13: Needs - You have to change buses. Lesson 14: Needs - I am going to change money. Lesson 15: Needs - I want to make an international telephone. Lesson 16: Making an Appointment - Have you ever seen a Beijing Opera? Lesson 17: Making an Appointment - Going to the zoo. Lesson 18: Welcome - Did you have a good trip? Lesson 19: Welcome - You are welcome. Lesson 20: Reception - Let's have a toast to our friendship! Lesson 21-30 Lesson 21: Invitation - Will you join us? Lesson 22: Declination - I can't go. Lesson 23: Apology - I am sorry. Lesson 24: Regret - It is a great pity. Lesson 25: Praise - This picture is very beautiful! Lesson 26: Congratulation - Congratulations! Lesson 27: Persuasion - Please don't smoke. Lesson 28: Comparison - It is colder today than it was yesterday. Lesson 29: Hobby - I also like swimming. Lesson 30: Language - Please speak slowly. Lesson 31-40 Lesson 31: Traveling - The scenery is very beautiful there! Lesson 32: Traveling - You've left your purse (or wallet) here. Lesson 33: Traveling - Are there any vacant norms? Lesson 34: To See a Doctor - I have a headache. Lesson 35: To Pay a Visit - Are you better now? Lesson 36: Departure - I'll return home. Lesson 37: To Give a Farewell Dinner - We are sorry to let you go. Lesson 38: Shipment - Is this the place for checking luggage? Lesson 39: To See Someone Off - I can't go to the airport to see you off. Lesson 40: To See Someone Off - Have a pleasant journey. This order includes one Textbook, one Audio CDs, one workbook, and DVDs for the textbooks Vol.2.